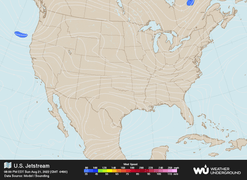 The Jet Stream map shows today's high wind speed levels and jetstream directions. 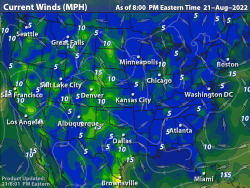 The Current Wind map shows the current wind speed and direction for the most recent hour. 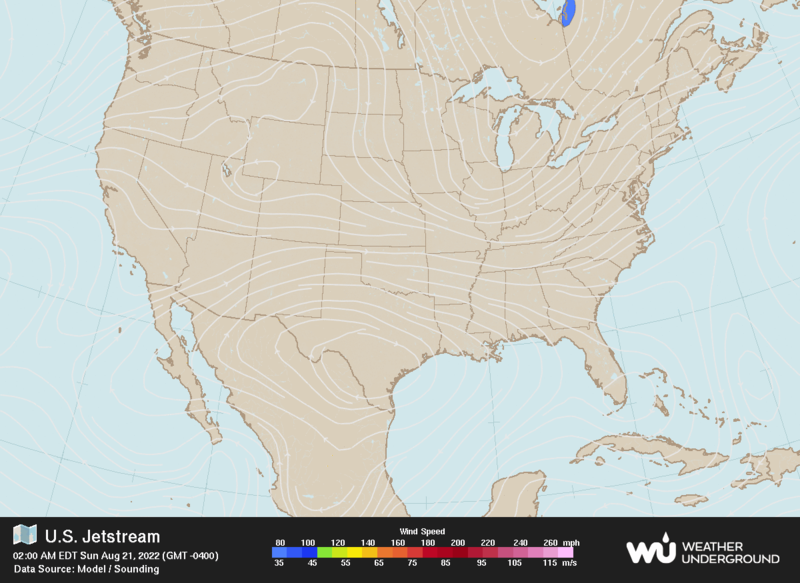 The Jet Stream map shows today's high wind speed levels and jetstream directions. Jet streams are fast flowing, relatively narrow air currents found in the atmosphere around 10 kilometers above the surface of the Earth. They form at the boundaries of adjacent air masses with significant differences in temperature, such as the polar region and the warmer air to the south. The jet stream is mainly found in the tropopause, at the transition between the troposphere (where temperature decreases with height) and the stratosphere (where temperature increases with height).